You can send an SMS to your members in much the same way you send a regular message to your members. SMS access is available in all paid plans (see pricing & directions to buy additional SMS packs). You can see the number of SMS you've sent to this group at the bottom. Click Send SMS to send your message to your members. They will receive the message on their phones like a normal SMS. 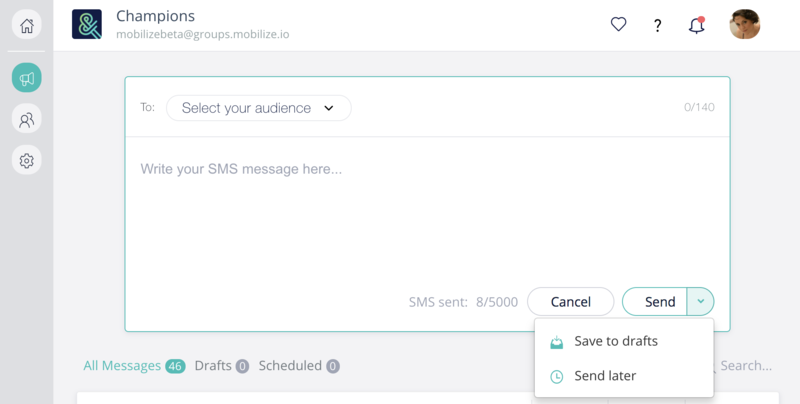 You can manage their replies and ongoing conversations in Mobilize.